Magnolia Doohickeys are thin steel dies that work perfectly with leading die-cutting machines such as the Big Shot, Cuttlebug, Grand Calibur etc. The designs are amazing and will make great decorative elements in any crafty project you're working on. 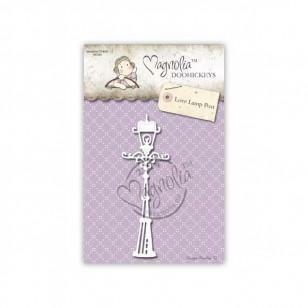 The shapes have been carefully selected to match Magnolia's own line of stamps, patterned papers, decorations etc. The small residues that from time to time happen to stick in the dies can be easily removed by using the little holes in the die and a craft pick or anything like that..
You can use the Doohickey dies to cut paper, cardstock, thin felt and fabrics, thin cork, thin magnetic sheets etc. 1 cutting die in the package.